MPWR (Mentoring and Partnerships for Women in RUME) is a daylong seminar that began five years ago as a means to support women at all career stages—graduate student, postdoc, faculty and professional—in the RUME (Research in Undergraduate Mathematics Education) community. Each year, the leadership team conducts this seminar preceding the RUME Conference to address the personal and professional needs of women in this community. Dr. Stacy Musgrave of California State Polytechnic University in Pomona describes the MPWR (pronounced empower) seminar and the newly-integrated research component of her work in her answers to the questions below. 1. What issues did you seek to address with the development of the MPWR seminar? As women academics with expertise in RUME, the MPWR leadership team (currently myself, Jess Ellis Hagman, Megan Wawro, and Eva Thanheiser) recognizes a need in our community for increased support and mentorship. Women in RUME are in the position of being part of the gender minority in STEM academic positions and often part of the mathematics education minority in mathematics departments. By providing ongoing support targeted to the unique needs of our members, we aim to foster a community of thriving, successful women researchers who contribute to the RUME knowledge base and instigate changes in the RUME (and broader mathematics/mathematics education) culture. 2. Tell us about the features and scope of MPWR. and formal peer mentoring structures called MPWRment groups. To date, we have hosted 179 women from the RUME community. To put this in perspective, 325 women attended a RUME Conference during 2014-2017, 44% of whom participated in at least one MPWR. Of the 127 women who have been to more than one RUME, 71% have been to at least one MPWR. 3. Now that the MPWR infrastructure is established, I understand you’ve added a research component to your work. What questions are you exploring? What issues do women in RUME struggle with related to career success? What impedes women in RUME from social and academic integration into their research community? How do these issues compare to those faced by other subgroups of the mathematics education research community? How does MPWR impact the RUME community, specifically attending to women in RUME who have participated in MPWR, women in RUME who have not participated in MPWR, and men in RUME? What characterizes a successful MPWRment peer-mentoring group? 4. What surprises have you found during the implementation of your research? There has been a lot of validation for the work we’re doing. 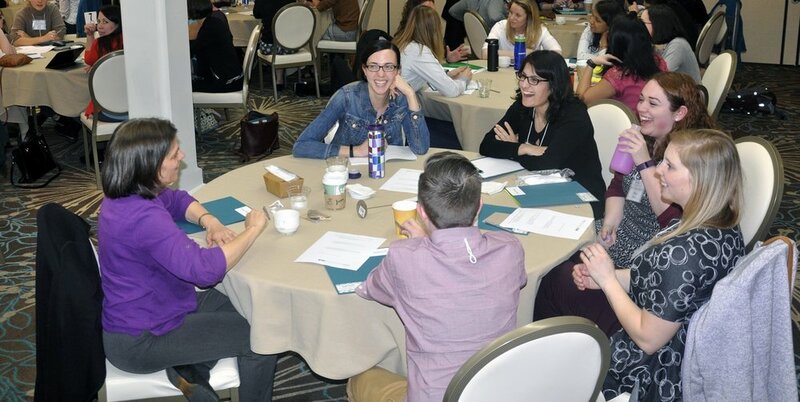 The vast majority of participants provide positive feedback, affirming that MPWR provides a space to connect with other women as a whole person – researcher, teacher, faculty member, collaborator, mentor, mentee, wife/partner, sister, daughter, mother, dog owner, traveler, etc. Based on how valued this space is, we face the welcome challenges of how to continue to fund and implement MPWR. 5. What new questions have arisen as your work progresses? As participant feedback continues to highlight common themes, we are beginning to question how to increase the impact of MPWR. In an ideal world, we wouldn’t need MPWR anymore – social structures that serve as obstacles to women (and other underrepresented and underprivileged groups) in RUME (and more broadly) would cease to exist, and the treatment of academics as more than paper-writers and grant-seekers would extend beyond the confines of a daylong seminar. Although we acknowledge the support we provide as a much-needed first step, we are now asking much harder questions about how to create systemic and cultural change within our communities so that a structure like MPWR is no longer needed. Erin Moss is a co-editor of DUE Point and an Associate Professor of Mathematics Education at Millersville University, where she works with undergraduates from all majors as well as graduate students in the M.Ed. in Mathematics program.